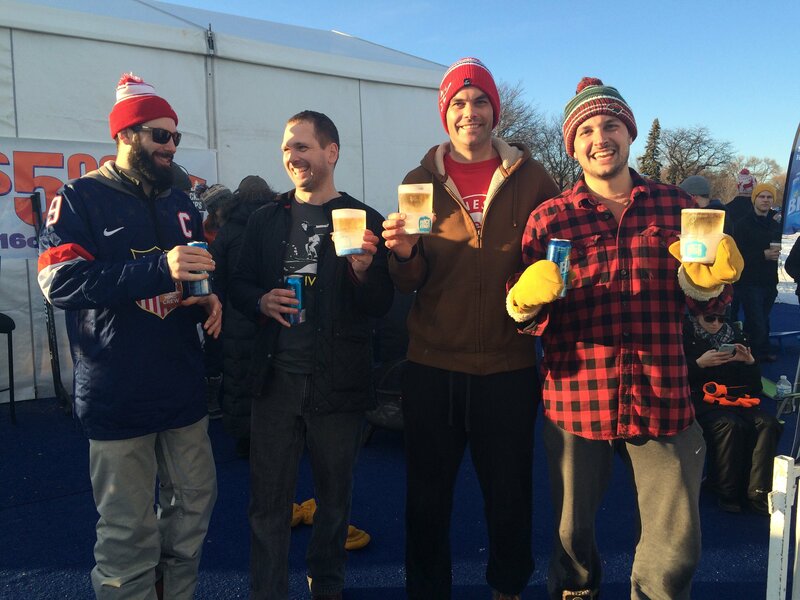 Thanks to the hard work of staff and volunteers, ice conditions on Lake Nokomis in Minneapolis, Minnesota held up as best as possible for the 2016 U.S. Pond Hockey Championships. 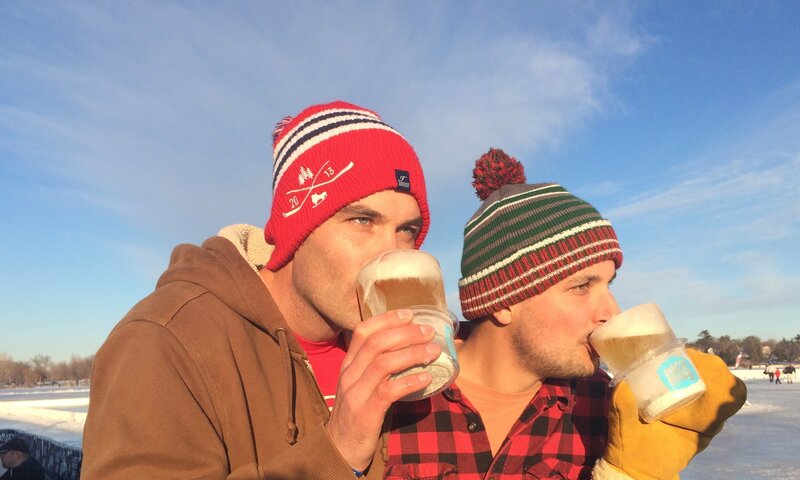 The crazy sunny warm winter weather shined on as players and fans endured above freezing temperatures for most of the weekend January 29-31, 2016. 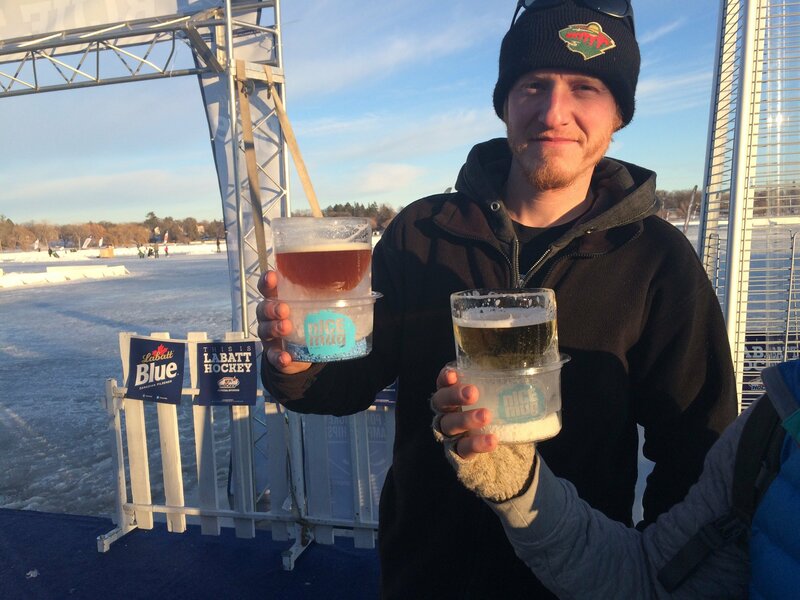 Standing on the frozen lake, a few ice enthusiasts fought back with their own drinking glasses made entirely out of ice. 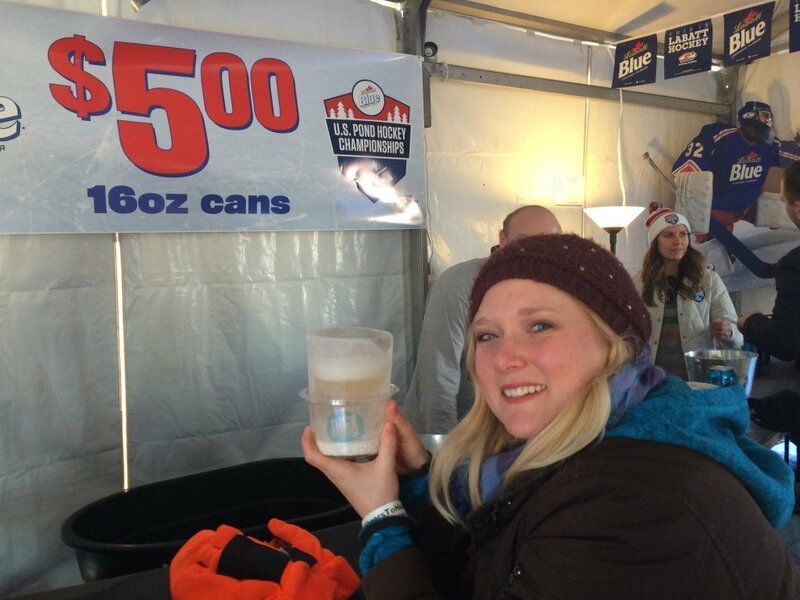 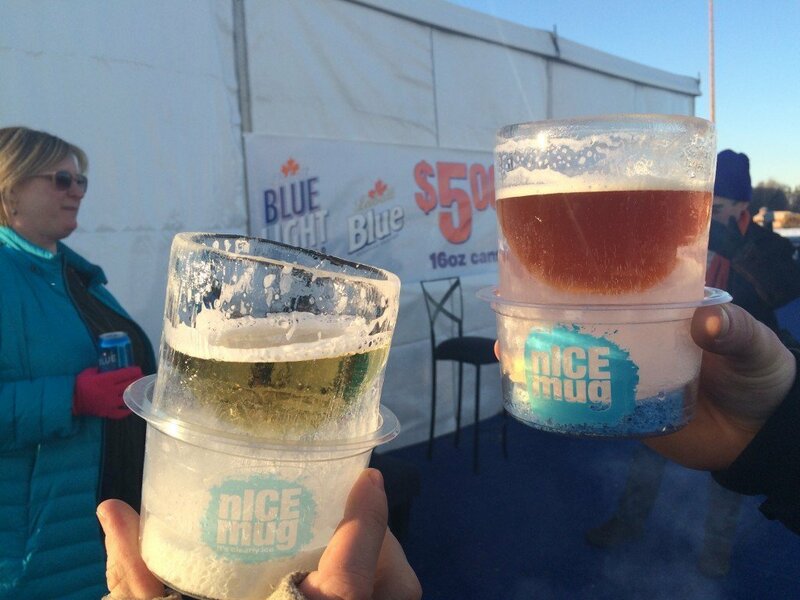 One fan, standing on the frozen lake watching the championship game, admitted that his cold Labatt’s nICE mug was “the best ice of the weekend”.